A Russian Translation of Our Translation of Mipham’s Tārā Prayer! Well-written, thought-provoking, and often deeply perceptive, the late Sri Lankan scholar David J. Kalupahana’s Ethics in Early Buddhism is a concise introduction to the subject of Buddhist ethics in early Buddhism, based primarily on the Pāli textual sources thought to be historically earliest. It aims to provide a philosophical investigation, focused on history and epistemology, into the underlying principles of Buddhist ethics, as well as its relationship to other forms of Indian and Western ethical thought. Kalupahana’s core ethical analysis is centered on dependent arising (paṭiccasamuppāda) as a guiding reference point. 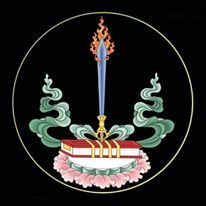 If you enjoy or have benefited from the translations and essays on Buddha-Nature.com and the work of Erick Tsiknopoulos and the Sugatagarbha Translation Group, please consider making a donation or recurring sponsorship.